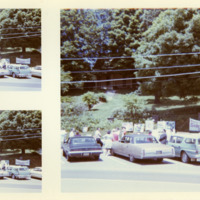 This color slide shows the front of the Leathery & Harness shop in the former Linney Law Office on King Street. 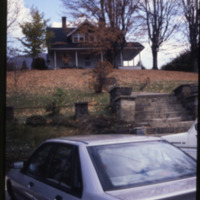 The Linney House is in the background, North of King Street. The slide is numbered "8." 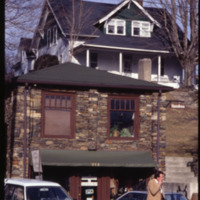 Taken from King Street, this color slide shows the Linney House in downtown Boone, NC.